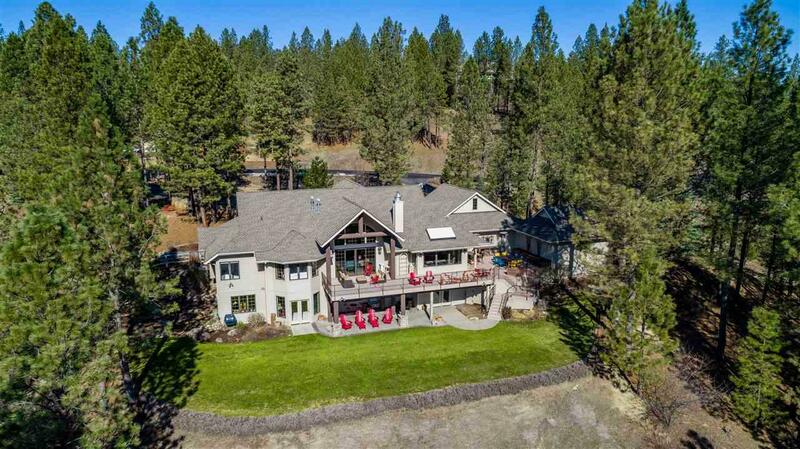 Luxury NW Masterpiece designed w/ comfort & style w/ spectacular view of Latah Creek & conservation area. 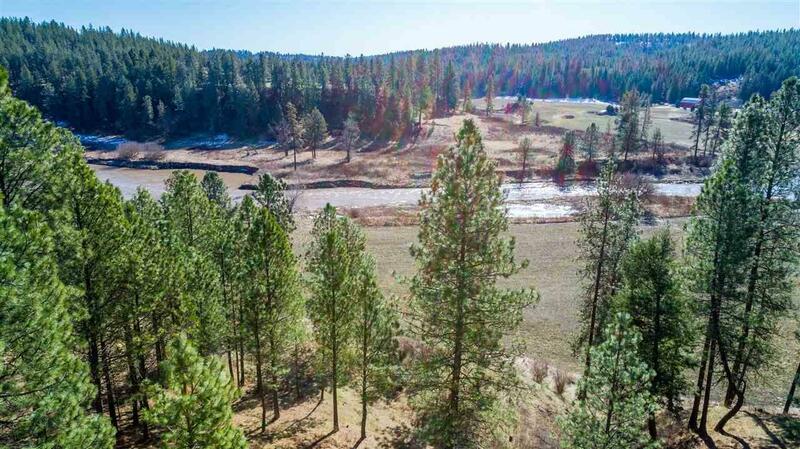 Picturesque setting captures the beauty of the seasons. 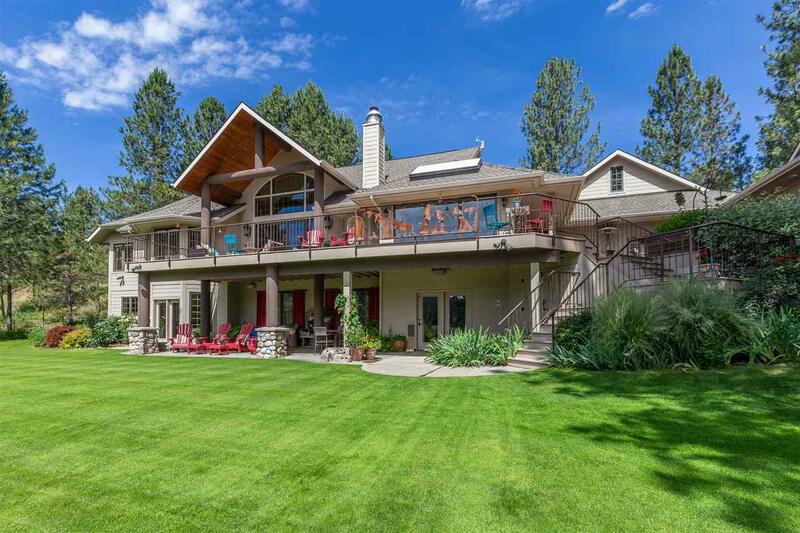 Resort style living & entertaining from multi-tiered deck/patio w/ outdoor kitchen. 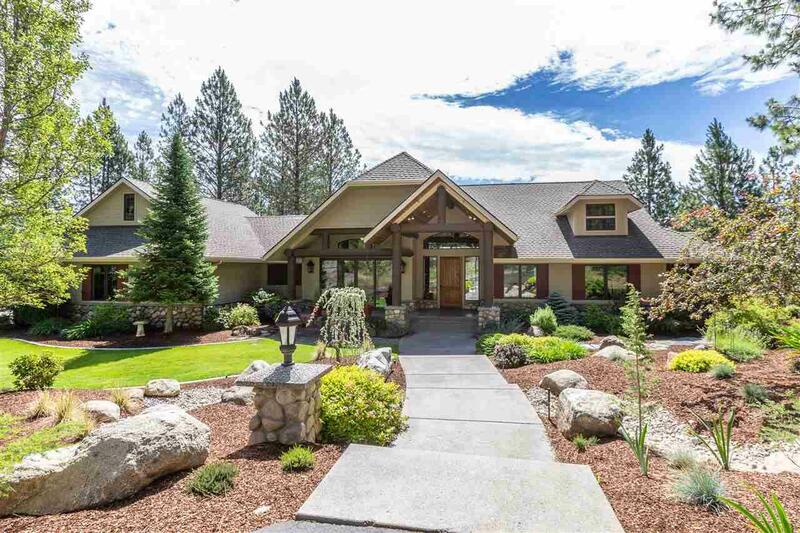 Superb features: granite chef's kitchen w/high-end appls, radiant heat & indoor pizza oven; rock fireplace; timber log beams; knotty pine floors, cabinetry, doors & built-ins; custom view windows; gorgeous library/den; wine cellar; wet bar; sauna; & 5 car garage!